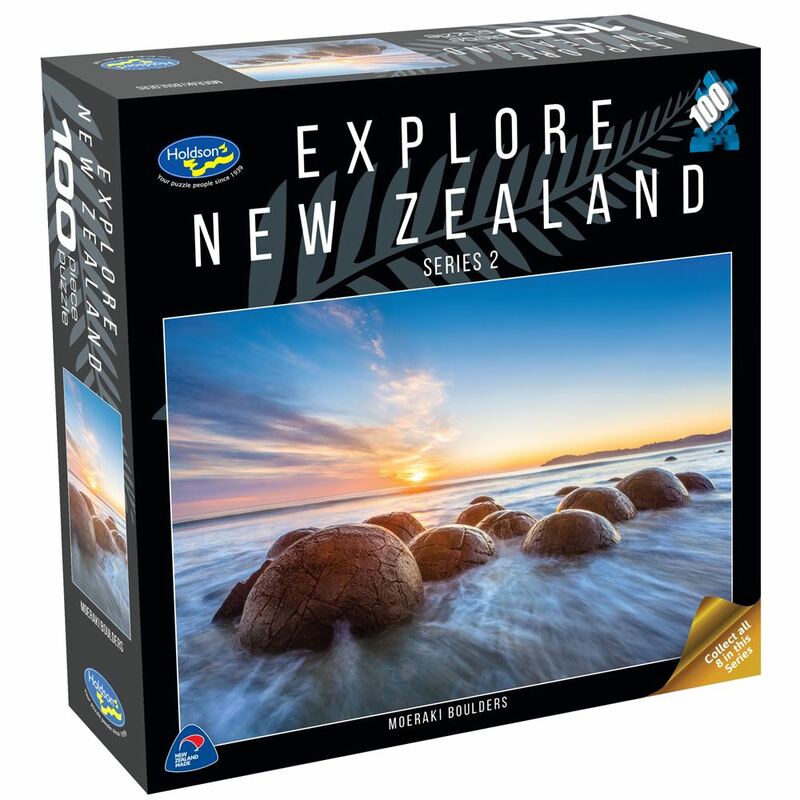 Continue to explore New Zealand with the second series of Holdson 100pc puzzles. Titles include: Gannet Colony, Hokitika Gorge, Moeraki Boulders, Mount Taranaki, Shotover Canyon, Stirling Point, Te Whare Runanga and The Valve Tower. Each design sold separately. Collect all eight designs. Age 8+ years. Made in New Zealand by Holdson. Approximate puzzle dimensions: 324mm x 229mm. Box size: 180mm x 180mm.